Revisiting the works of the late Richard Franklin, which I remembered as being pretty good. They are! But alas he perhaps never quite achieved a totally satisfying film… still, agreeable oddity, a likable spirit, and some camera panache counts for plenty. Franklin was an Australian Hitchcock fan who studied film in America alongside John Carpenter. He was certainly the right guy to make PSYCHO II, from a smart Tom Holland script. If you’re going to do such a criminal thing, at least do it with respect and humour. What most of the best Franklin films, and most of the best weird Australian films, have in common, is a script by Everett De Roche. 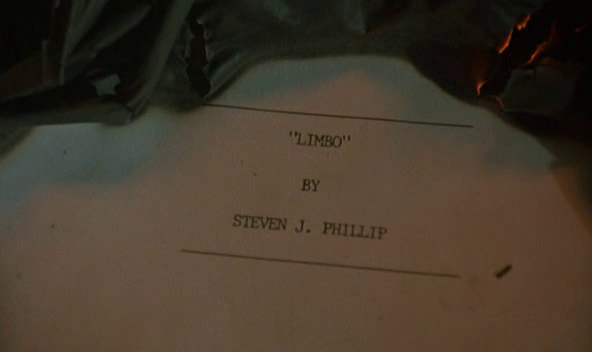 Check his credits — besides the Franklin films, he wrote HARLEQUIN (Robert Powell as a modern Rasputin) and LONG WEEKEND (when everything attacks!) and RAZORBACK (JAWS in the outback with a wild boar!). Apart from the Peter Weir and Rolf de Heer Festivals of Strangeness, he seems omnipresent. 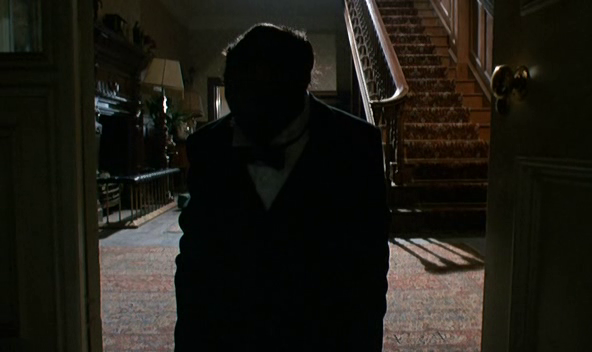 It’s actually one of Stamp’s nicest performances, and nobody appreciated it because it was in a killer chimp film. If A STREETCAR NAMED DESIRE had a homicidal ape in it, we’d never have heard of Marlon Brando. Stamp is joined at his isolated clifftop manor by a young Elizabeth Shue, who’s better than the average girl-in-jeopardy, although the script doesn’t do her as many favours as it does Terry. There’s a blandness in the role, and a bit of 70’s bloke sexism — I’m surprised the actress didn’t mutiny when called upon to answer the question “Can you cook, clean?” with “Well, I’m a woman, so I guess I have some kind of genetic aptitude.” The role, and the film, ultimately devolves into a lot of running around, rather as HOLLOW MAN would years later. But what we were really watching for was the APES, and here LINK satisfies fully, if bizarrely. At the time, there was a certain amount of critical incredulity about the idea of chimpanzees as horror movie menace. The world is a bit better informed now about the dangers of apes run wild — a chimp is pretty much the most dangerous escaped zoo animal you could hope to meet. Stamp tells a charming story over dinner about one ape who savagely dismembered his human owner to try and sell us on this idea. “What had he done to the chimp?” asks Shue. “Oh, nothing. The chimp was just glad to see him,” smiles Stamp. This is one of the few primatology-based movies to show signs of real, intelligent research. All of which is nearly overshadowed by the bizarre casting of the titular ape, a chimp played by an orangutan in blackface. Presumably because no adult chimp of sufficient training was available, some poor orang has been given a close-cropped haircut and a dye-job, then dressed as a butler (his character is a former circus artiste). 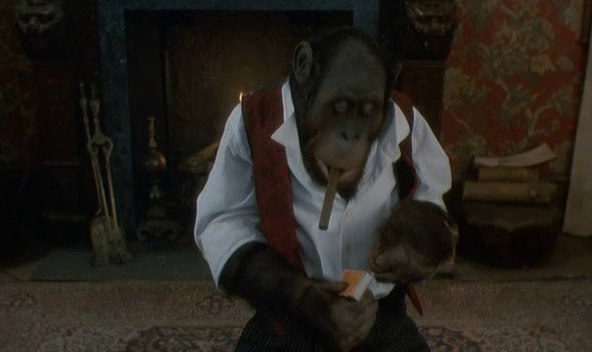 It’s the simian equivalent of Mickey Rooney in BREAKFAST AT TIFFANY’S, an embarrassment to modern sensibilities. We were also shocked that none of the apes (three appear) were accorded a screen credit. I mean, that’s just good manners and good showbiz. Whoever the anonymous ape is, he acquits himself well, aided by a few bits of prosthetic trickery, most of them well concealed. Unfortunately, orangs are pretty sluggish compared to chimps, so he’s not as adept at moving in a threatening way, but he sells the moments of sexual tension well, eyeing Shue’s body double with the sly lechery of a primeval George Sanders. It might seem like the movie’s most B-picture exploitation angle, but Link’s attraction to Elizabeth Shue (this is the same year as arthouse monkey-love epic MAX, MON AMOUR) is perfectly accurate in terms of simian behaviour. Captive apes often have crushes on humans. Lucy, raised as a human child, liked to relax with a glass of gin, a copy of Playgirl and a Hoover attachment. Orangs, even in the wild, are known to be sexually rapacious. The name may mean “old man of the forest,” but it ought to be “dirty old man of the forest.” as Julia Roberts nearly learned to her cost. LINK is good fun — lots of problems, but only the score seems truly wrongheaded — Jerry Goldsmith has been encouraged to rip off his own GREMLINS theme, and it doesn’t work — although it gets better when he adds the timpani from Marlene Dietrich’s Hot Voodoo number in BLONDE VENUS, which Franklin quotes at the film’s start, in a bit of sub-Joe Dante pop culture referencing. I have contributed an essay to the Criterion Collection’s new Blu-ray of THE 39 STEPS. Which is exciting. And there’s more — for the Blu-ray of Masters of Cinema’s THE LOST WEEKEND, another essay. Double the excitement. Although, I must say, the work carries a greater sense of responsibility than, say, blogging about THE MAN WITHOUT A BODY. If either company would like to release some really stupid, shoddy movies for a change, I’m definitely up for essay duty. If you pre-order the films from Amazon via these link, I get a little percentage, so that’d be nice. 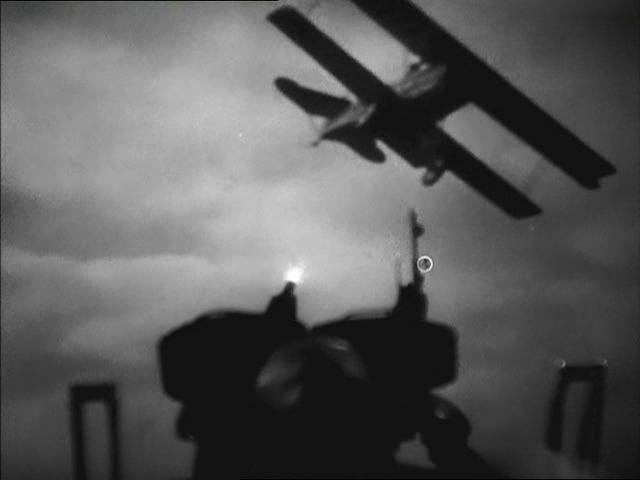 Red-hot aerial action over at the Daily Notebook, as this week’s edition of The Forgotten explores a little-known Anatole Litvak production. The penultimate episode in our look at the films of Pathe-Natan. Chocks away! — if “chocks” is the word I want.